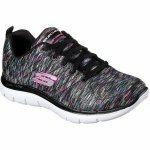 Skechers Reflections 12908 is a ladies casual trainer. 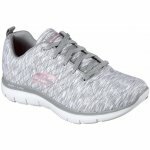 It features a soft knit fabric upper and fabric linings. 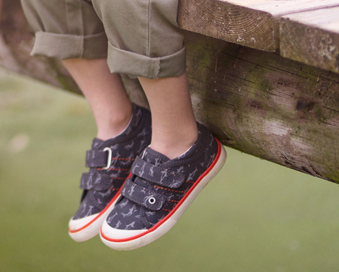 The lace up style allows for adjustability and a secure fit when walking. 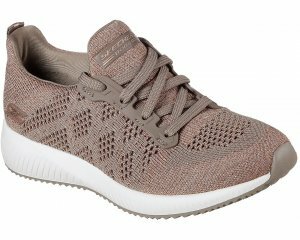 A rubber outsole provides grip whilst the Air Cooled Memory Foam cushioned insole provides all day comfort. 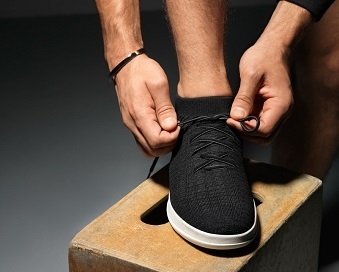 A lightweight shock absorbing midsole takes the impact of every step, making this trainer a great everyday wear. The contrast coloured stitching stripe detail adds an eye catching element, making it a go to with any outfit. 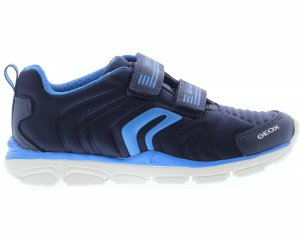 Step into comfort with Skechers Reflections 12908!